About Us | OBXtek Inc.
Act with honesty and integrity in all matters, written and verbal. Accept intellectual and moral responsibility. Be forthright when expressing your views. Prevent conflict or the appearance of conflict between personal and institutional interests. Meet the highest quality standards at all times. Continually strive to advance the competency of yourself and others. Treat all customers, coworkers, and partners with respect, dignity, and fairness. Show tolerance and compassion to the thoughts and views of others. Give back. Community is a pyramid to which each of us brings a stone. At OBXtek, our teams are committed to identifying, developing, and delivering innovative, mission-focused technical and logistical solutions to our civilian and military partners in the Federal Government. Projects evolve, and we take pride in our ability to respond quickly to changing needs. Utilization of best practices including the Project Management Institute's Project Management Body of Knowledge keep projects on track and allow us to deliver consistently excellent service. Customer service is the heart of who we are. From our inception on North Carolina's Outer Banks to today, OBXtek has been determined to offer superior customer service while developing innovative technical solutions that address the Federal Government's toughest challenges. 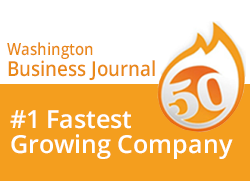 We credit our incredible growth - the Washington, DC area's fasted growing technology company for two years running, recognition in Washington Technology, the Washington Business Journal, and Inc. Magazine - to providing our customers with exceptional results. OBXtek is the prime contractor for 93% of our current work, and we possess a robust corporate infrastructure that provides management oversight and support for all of our programs. OBXtek's PMO pairs lessons learned across disciplines with industry standard quality practices - we're CMMI-Dev Level III, ITIL, 6Sigma, PMI, and ISO 9001, ISO 20000, and ISO 27001 certified - to create processes that underpin the creation of novel, successful results. 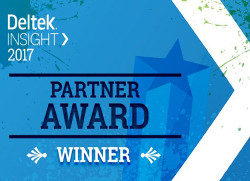 OBXtek won the 2017 Deltek Project Excellence Partner Award for improving business processes, performance, and driving innovation with Deltek solutions. OBXtek won the 2017 Moxie Award for boldness and innovation in business in the category of Government Contractor. 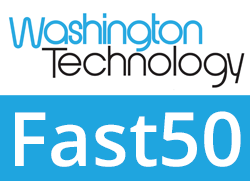 OBXtek has been included on the Washington Technology's Fast 50 list for four consecutive years. 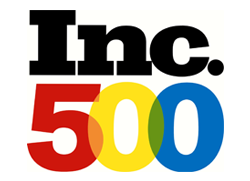 In 2015, OBXtek made the Inc. 500 for the fourth year in a row. In 2013, OBXtek was ranked as the #1 Fastest Growing Company in the Washington, DC area by the Washington Business Journal.